CircuitWala manufacturing is capable to serve almost all industries PCB needs! Electronics R & D is a part of all new developments in the industry and for immediate results on the same, quick delivery and low cost is mandatory. We assure a perfect solution to users with faster delivery. Reliability is at the center of all Aerospace applications. There is no room for error in it. At Circuitwala, we understand this. That’s why our PCB is manufactured with the highest level of quality available in the industry. 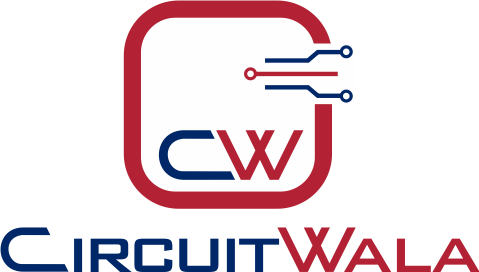 Circuitwala is proud to build boards for major automobile manufacturers that includes eminent brands in motorbike and motorbike equipment, recreational vehicle companies, and nearly everything indeterminate in this area. Railway communication systems and auto signal systems require quick R&D support with meticulous quality to establish a desired solution. We provide complete solutions for this sector. Equipment approvals and field trials may take a long time, but that is not necessarily with your prototype work. We’re here to help you get through the prototype phase as proficiently as possible. Whether that requires quick turn time on simpler PCB designs, or high-end manufacturing technologies, finishes, RF materials, or anything regarding PCB, Circuitwala can assist you better than anyone else. Data acquisition modules, sensors, interface cards, all are just a part of our daily production work for our customers who work in and on Industrial/Instrumentation applications. We can talk IPC-6012, ITAR, RF-related designs, and controlled impedance for designs that require these features. Our service offers the balance between capabilities and affordability so well suited to edifying programs. Circuitwala is proud to offer educational sponsorships for scholars and educationalists. Contact us for details. Not everything in the world is business and time-sensitive. Some projects are a bit more personal and may not be so well-funded as the commercial designs. We understand it totally and offer solutions accordingly to our distinct clients falling in this category. Check out our ValueProto service, for those small-quantity two-layer designs where a longer turn time is ideal.